Times are changing in the realm of sales. For years, most businesses spent time and money developing in-house sales and marketing teams to ring the register. However, a new trend is emerging as large organizations have adopted an outsourced sales model. According to the Top Sales Trends & Predictions for 2018 by Sales Hacker, outsourcing will be something organizations MUST be aware of for the new year. “Outsourcing elements of the strategic sales function will help companies run a more sophisticated playbook early, build the right infrastructure without incurring cultural and technical debt in their sales org,” said Sam Jacobs, Former CRO, The Muse. Utilization of an outsourced sales team offloads the weight of in-house sales, allowing staff to focus on its core business objectives. This time-saving benefit will allow leadership and internal teams the ability to focus on customer service, product development, and the organization’s overall growth and future. High volume recruiting and hiring of sales professionals is extremely complex and requires a distinct skill set. Most companies are not set up to handle this fast-paced process and do not have the budget to implement internally. Because of HR regulations, managers are often saddled with unproductive employees or must go through a variety of timely and costly steps before termination is approved. Without a strong, and ever-improving salesforce, these companies are losing market share. Outsourced partners can also help businesses make the most of their current tools and marketing stack. When beginning a new partnership with Trelevate, collaboration with clients is the first step to develop a customized sales system that meets their objectives and fits each specific marketplace. This optimization also works to reduces technology debt by maximizing the potential of tools and procedures to more efficiently move the needle and increase return on investment. Recruiting, training and activating a skilled salesforce is the entire focus of on-demand sales companies. Using an outsourced sales partner ensures only the best, highly-specialized sales professionals join your team. By taking on the ownership of the sales team, outsourced partners can staff proactively and provide a strong and ever-improving salesforce. “Sales teams fall apart when they sit on unproductive people.  At Trelevate, we are constantly managing the bottom 20% to ensure maximum performance,” said Paul Briski, Founder and CEO of Trelevate. Instead of tapping your entire sales staff to enter new markets or verticals, a dedicated outsourced team can lead the rollout. Elite professionals from outsourced partners have experience in taking new products to market. Trelevate has the ability to hire and train teams in any market and sell a new product or service within 30 to 45 days, depending on the industry. This efficiency reduces expenses and will enable your business to get to market quicker without detracting from your existing clientele. These are a few of the reasons why a company should consider outsourcing its sales efforts. Trelevate’s elite, full-time salesforce has helped create more than $100 million in revenue for clients while aiding in cost reductions, time savings, and ROI. Contact us online or call (888) 763-8683 to find out how Trelevate can be your brand ambassadors in the field – no matter what product or service you provide.